In 2008, I began working full time as a youth minister while also going to school full time for a Master’s in Divinity. Five years later I graduated (yes, FIVE years…84 credits) and had no idea what to do with my extra time. I was still working full time, but I was also used to reading, writing, and going to class full time. This extra space in my life left me a little perplexed and a lot bored. My mom had given me a sewing machine for Christmas in 2005 or 2006, but I never really did anything with it. Around 2010 I started looking on Pinterest and saw this baby rag quilt. It didn’t look that hard, so I gave it a shot. It was my first quilt! After graduation, I pulled my sewing machine out again and just started experimenting with different fabrics and patterns. I made my first t-shirt rag quilt, posted it on Facebook, and started getting inquiries about making quilts for other people. I was hesitant at first, but soon found a real passion for creating something new out of old, sometimes worn out and often unused items. 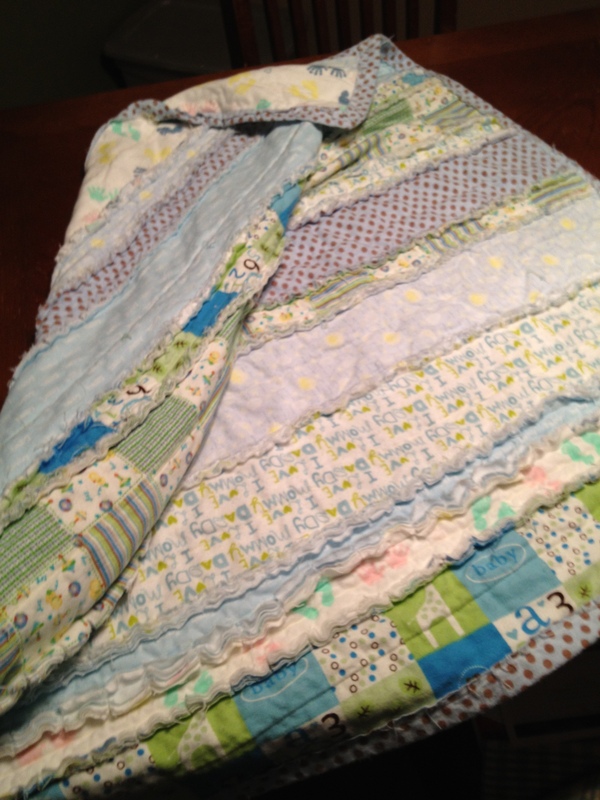 In December 2012, Quilting Moonbeams was born!